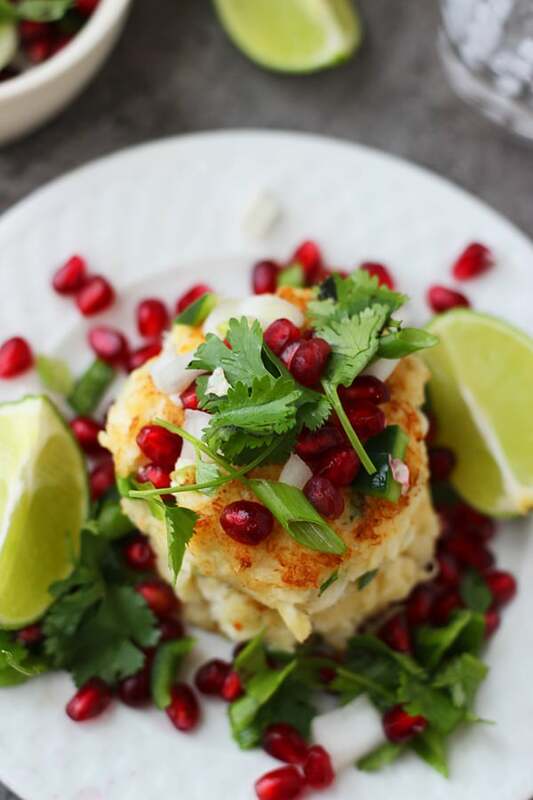 Crab cakes are one of my all-time favorite foods – along with mac and cheese… and fettuccine alfredo… and bagels… and enchiladas…and bacon….and…about a million other things. I’ve had a major thing for them since I tried the most perfect crab cake when I was eight or nine at this adorable little restaurant in an adorable little town on the outskirts of Kansas City. I still vividly remember being astounded by how much I loved the taste of the sweet, briny crab – I loved it so much in fact, that I made my whole family make the 40 minute trek out to the very same restaurant for my next three birthdays. No, I did not throw my very first dinner party at 10. 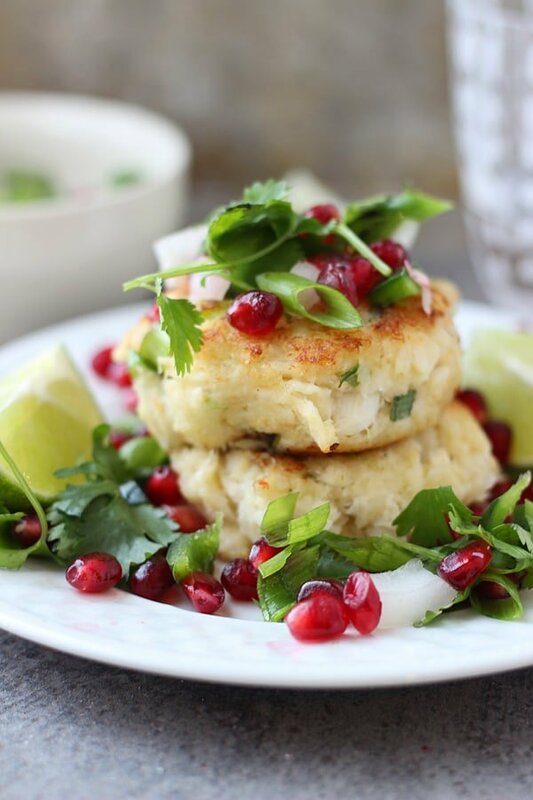 I’d always help my Mom make the food for her dinner parties when I was a kid, and that particular year I decided to take on mini crab cakes all by myself – about 50 of them to be exact. I took my job very seriously, so when the oil was too hot at one point and the crab cakes started to get a little more black than the “golden” crispy exterior I was going for, I immediately became flustered and declared my crab cakes a failure, even though everyone assured me otherwise – my mom still swears to this day they were nothing short of fabulous. It’s funny how my neurotic food related tendencies have lingered over the years — even then I was a crazy perfectionist when it came to cooking. 1. You must only use lump crab meat. Leg meat, claw meat, back fin meat will not suffice. ONLY lump. If it doesn’t say lump on the package, don’t buy it. You’ll thank me later. Or wish you listened to me when you open up a can of “white” crab meat that looks about as appealing as a can of tuna. 2. You must use as little breading as possible, otherwise the crab will not shine through – hands down, my biggest pet peeve is when a crab cake comes out and it’s pretty much all bread and no crab. 3. You must mix all the other ingredients, and then very very gently fold in the crab –I prefer my crab to stay in lump form. I like to keep my crab cakes relatively uncomplicated, and instead of stuffing them with a million ingredients, they’re simply made of just a little mayo, Dijon, breadcrumbs, green onion and egg. The way I really dress them up is with the sauce or garnish, and in this case I went with a pomegranate salsa similar to this one. I first saw it on a Cooking Light food calendar my mother-in-law gives me each year (LOVE those! ), that just looked so pretty and festive, and I knew it’d be a perfect accoutrement to my simple crab cakes. 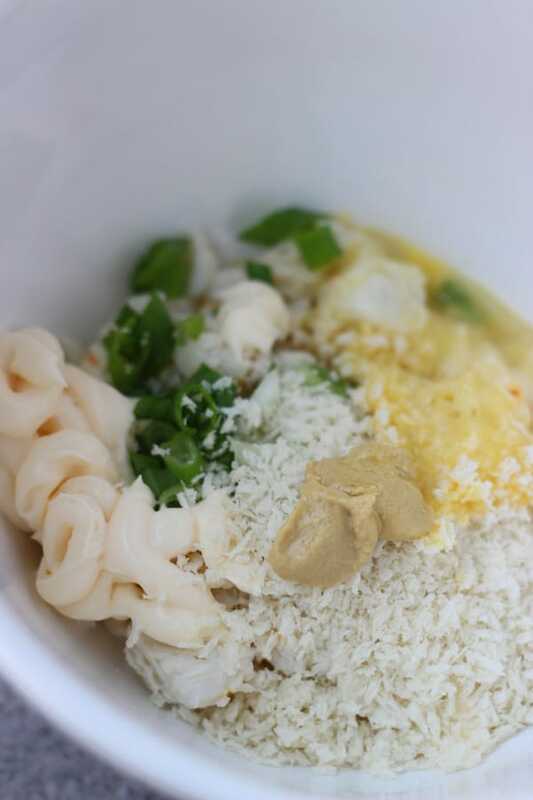 In a medium bowl, stir together, mayo, mustard, salt 1 teaspoon lime juice, two green onions, breadcrumbs, egg and sirracha. Season to taste with salt, pepper, sirracha and lime juice. Gently fold in crab with a spatula. Gently form into four cakes. Chill for 15 minutes if you have time. While the cakes are chilling, stir together, remaining green onion, lime juice, cilantro, yellow onion and one teaspoon olive oil. Season to taste with salt and pepper. Heat a large non-stick skillet over a medium high heat. Add enough olive to barely cover the bottom the pan, about two tablespoons. Pan-fry cakes, until golden brown on each side, about 2-3 minutes per side. 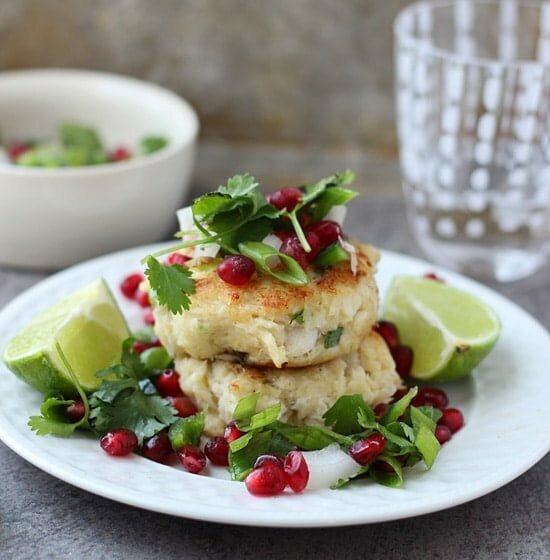 30 Responses to "Crispy Crab Cakes with Pomegranate Salsa"
Oh my these look glorious! I’ve honestly never made crab cakes, but love eating them! Love all your tips… I’m pinning this so I remember to make it! 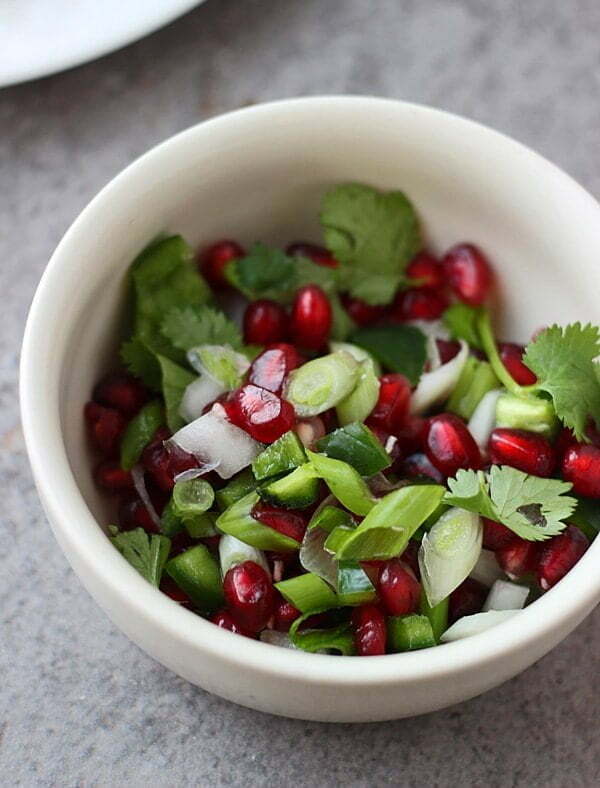 And pomegranate salsa?! Amazing. LOVE this. I can’t believe you haven’t made crab cakes before! You and I need to switch things up, I feel like I’ve never made a lot of things you have, and you’ve never made a lot of the things I have. Still need to get on that cookie butter train! Your photos are gorgeous! And I love the sound of that pomegranate salsa, sounds incredible! Thank you so much Chelsea!!! first, I love that these don’t look very “bready” – I’m a big proponent of letting the crab in crab cakes shine! And I’m pretty sure I’d eat that pom salsa by the spoon, because damn does it look delish! Hahah I DID eat the pomegranate salsa by the spoon!! Ha! I gasped when I saw this photo….gorgeous! 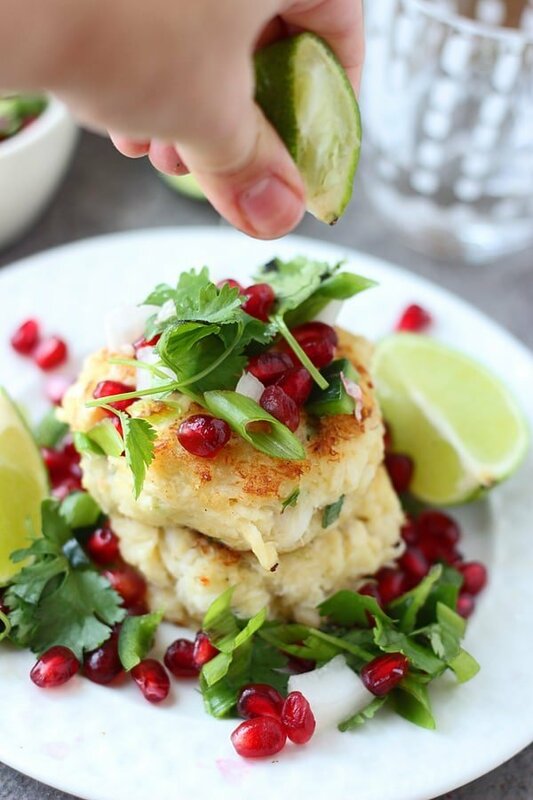 We’re having crab cakes on Christmas Eve, and that pomegranate salsa is such a unique twist for the cakes. May have to add that to the menu! Wow! I just can’t get over how gorgeous all of your food is. 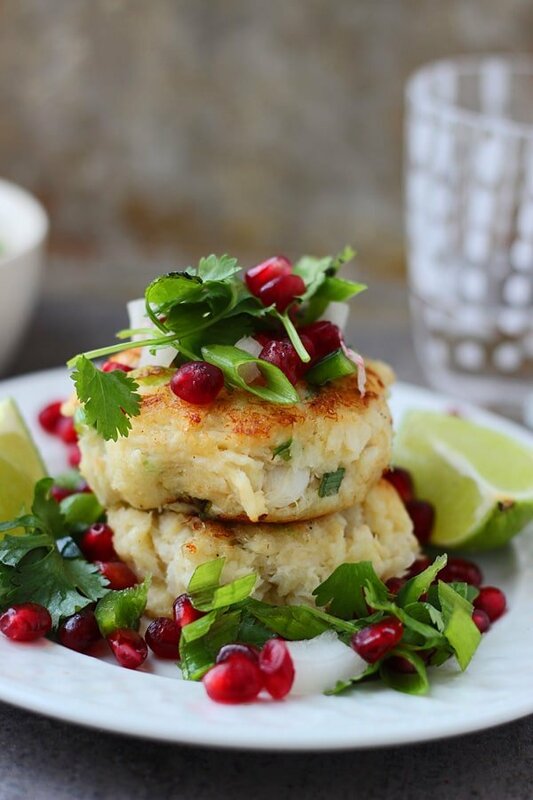 These crab cakes look amazing! These look so gorgeous, Nicole! I love how pomegranate makes everything look so fresh and beautiful. I can’t wait to try these. This looks really good. 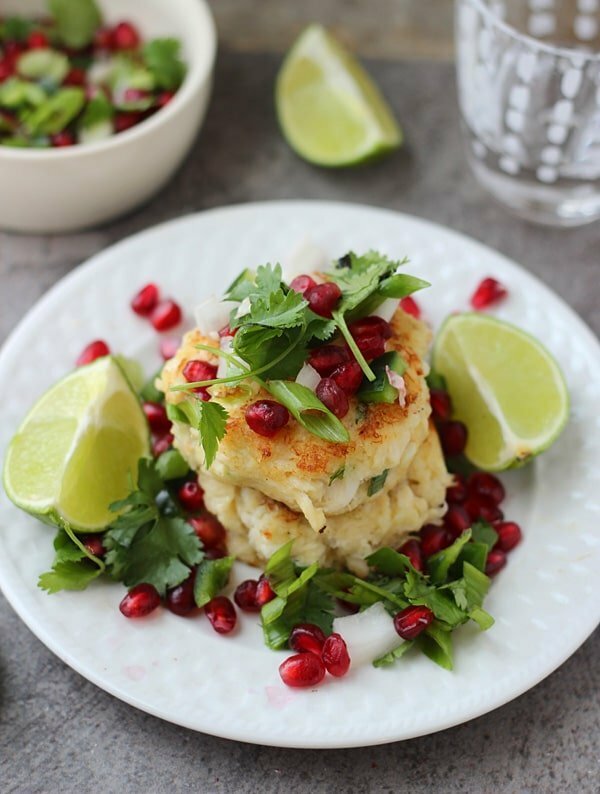 I think I might make crab cakes for Christmas dinner (my family rolls non-traditional that way) so I will give this recipe a shot! Oh my goodness! Could these be any more beautiful…seriously. I want to dive right in. You had me at crab cakes! I featured your wonderful recipe at Katherines Corner today Hugs! Oh wonderful Katherine! Thank you so much! I love the addition of the pomegranate salsa. What a fun twist! HI Nicole – great recipe and post. I’m picturing you as a sassy little 10-year old something ;-)! 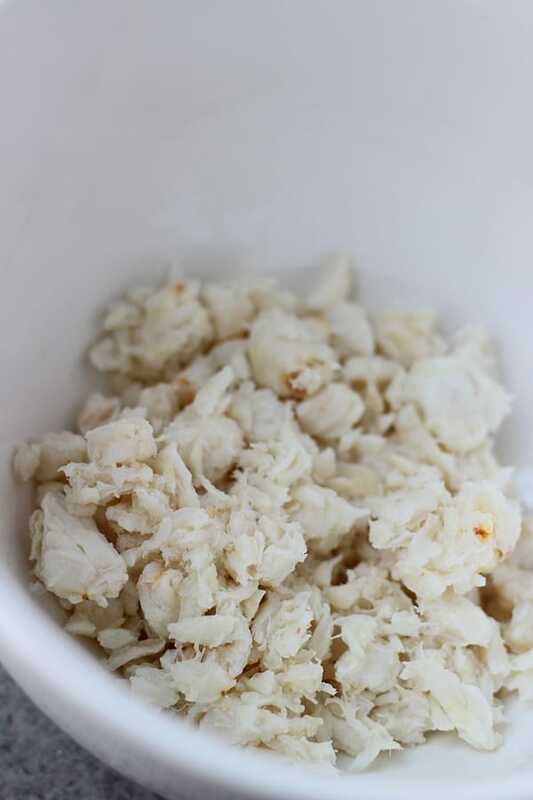 Quick question: where do you normally buy lump crab meat? Excuse the ignorance, but I’m really interested in making them AND keeping costs low. Gracias in advance! Hahah I was! I just buy it at the grocery store! They usually have plastic container that have lump crab meat in them for a pretty reasonable price! If you can’t find it, the lump crab in the cans at the store will suffice just fine, and is actually a little bit more cost effective!